Denver Medical and Recreational Dispensary Trenchtown is a grower owned and operated Denver, Colorado cannabis dispensary and Downtown Denver Marijuana farm. We are dedicated to providing small batch, hand trimmed, pesticide free, and tested marijuana and marijuana products to all of our customers. Humble Beginnings From a historic brewery warehouse in Downtown Denver, the journey began in 2009 with 2 guys, a couple of lights, and a humble idea that we could bring legal, world class cannabis to all of our friends in Colorado. Today, we still grow all of your cannabis in house in the same warehouse and have many great friends to help us. Named in honor of the birthplace of reggae music, we aim to transplant you to your favorite island, mountain, lake or beach with every visit. We invite you to come tour over 50 strains that we grow in house, many of which have taken years to craft. 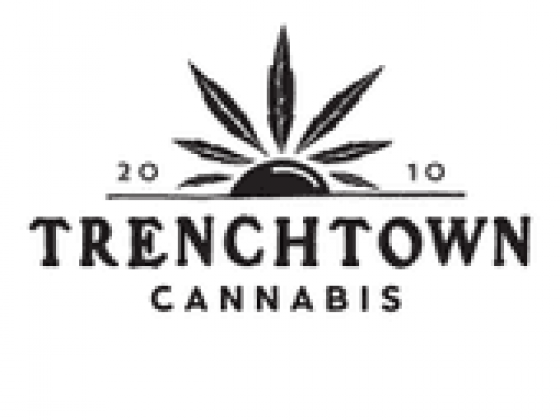 Trenchtown Cannabis is Small Batch, Hand Trimmed, and Indoor Crafted - Grown with love! Trenchtown Values and Beliefs: We are thankful to be able to create a product that heals people. We will never make a decision that values money over happiness. We will always trust our fellow employees, customers, and community. We will always innovate and improve quality. We will always produce the best cannabis that we can. We will promote and support musicians, artists, travelers, and dreamers. We will fight for cultural, social and environmental change. We promote cannabis culture and the safe use of it. We will try and help anybody that asks for it. We will never stop having fun. Whether you are a patient or a customer, we promise to treat each of you as if you are family.